Ignition at the touch of your finger! 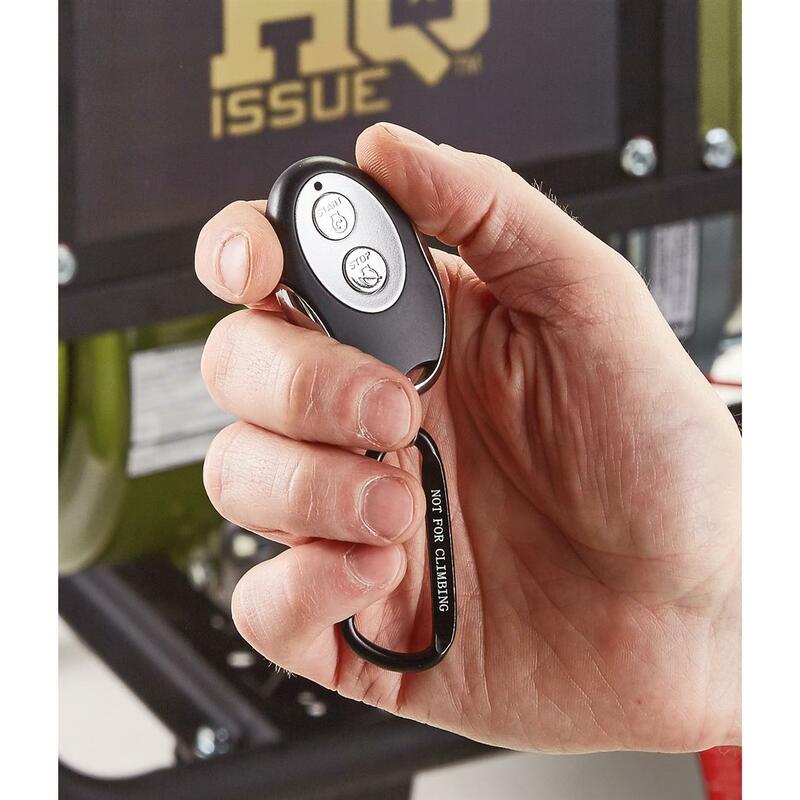 Pressing the remote will bring your HQ ISSUE® 4000W Generator to life. Use the included wheel kit to get your Generator where you need it. No one could ask for electricity to be any simpler. All HQ ISSUE® Generators are equipped with Automatic Voltage Regulators to ensure maximum protection for your appliances as well as your generator. By regulating the level of voltage in an alternating system (AC) to a narrower range of output, the AVR protects any parts of your systems that might be damaged by surges or drops in voltage or power, particularly during the start-up of your appliances when the maximum voltage and power are required. The AVR ensures a constant quality and quantity of voltage is supplied to protect the appliances and system. Constructed with all the bells and whistles you desire in your generator, the HQ ISSUE® 4000E doesn’t disappoint. With a run time of 12 hours at 50% load, you’ll spend less time refilling and more time doing what you enjoy. 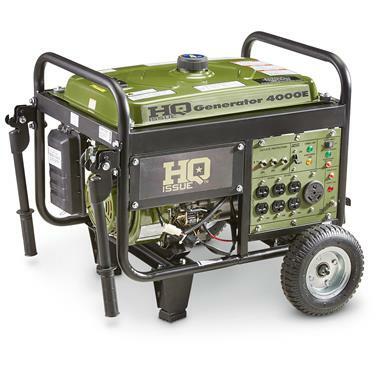 You can easily start your generator with either recoil or electric start. 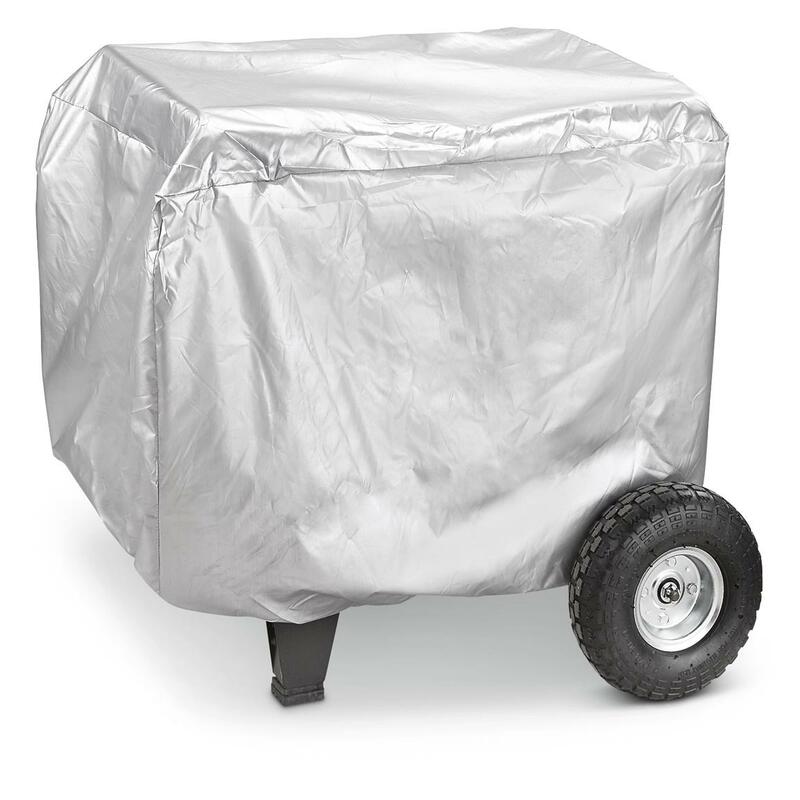 A heavy-duty roll cage protects your investment, while providing a simple way to carry it to the next location. 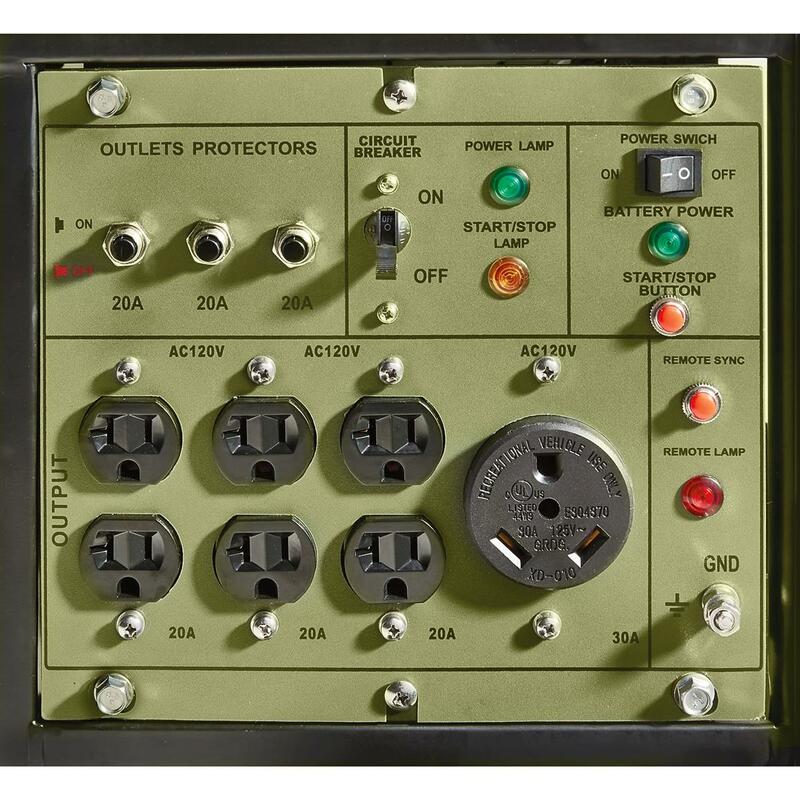 Plus, it comes with a wheel kit to get your Generator where you need it to be. Wattage Guide: fully meet your needs. Getting the proper amount of wattage to run your household or meet your work and recreation needs is essential when deciding on a generator. To determine how much power you need, use the Wattage Guide found in the Additional Product Information section below. Charge up and order today! HQ ISSUE 4,000W Gas Generator is rated 4.3 out of 5 by 23. Rated 2 out of 5 by Dave111 from Worked great at first I bought this unit about 2.5 years ago. I used it almost immediately about every other week for a couple of months. Each time for about an hour until our power would come back on in the house. I tried getting it started this past weekend and can not get it to start. Called the number listed on the generator for help, and that number is no good. If your unit runs, it's a good unit for the price. But if it doesn't, be aware that your not going to get much help in troubleshooting or repairing it. 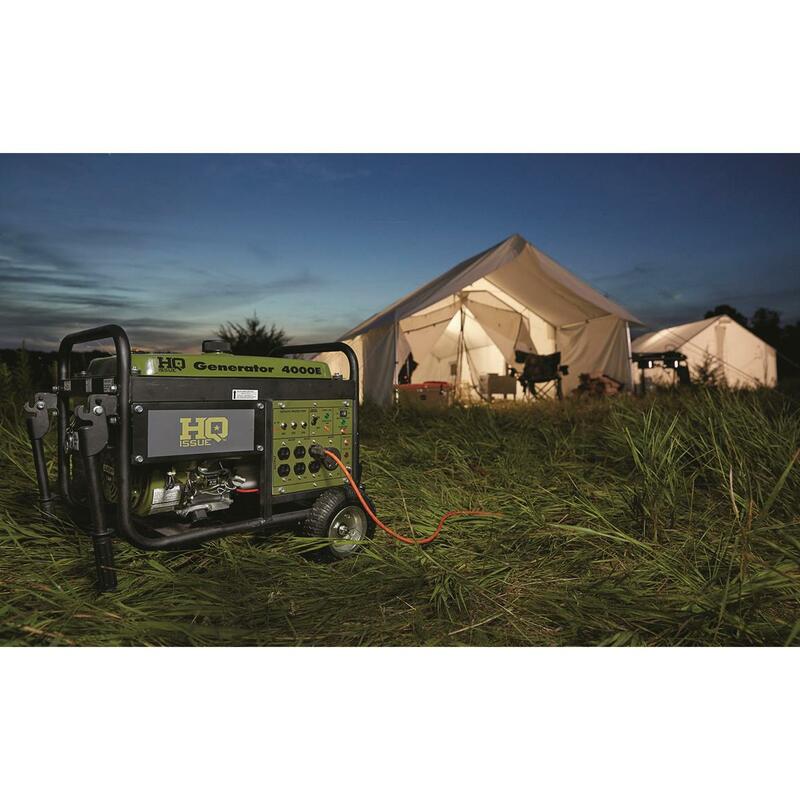 Rated 5 out of 5 by fuszy1 from great value this generator works great I love the remote start when in hunting camp you don't have to get up, push the button and the generator starts lights come and your coffee is started. Rated 4 out of 5 by Menace2Sobriety from Great Price Picked this up on 4 pay for the Hurricane Season. I havent cranked it up yet. But I did I did get it quickly and at a great price. You will have to install the wheels and the handle. It DID NOT come with the battery, but the manual tells you what and where to get it. Dont forget to add oil before you start it, it ships dry. Rated 4 out of 5 by Navyguy from Excellent Value Used the generator to run the AC and charge the batteries on our fifth wheel camper. Very efficient in regards to fuel usage and we like all the differant outlets. Starts easy with the remote start. Only down fall is it's a little loud and assembly directions are horrible. Rated 5 out of 5 by Red Bean from Excellant Value for the Price Easy to assemble and easy to use. Love the electric start. This is a great value for the price and it works great. Would highly recommend!!! Commercial-grade power with ability for welding.